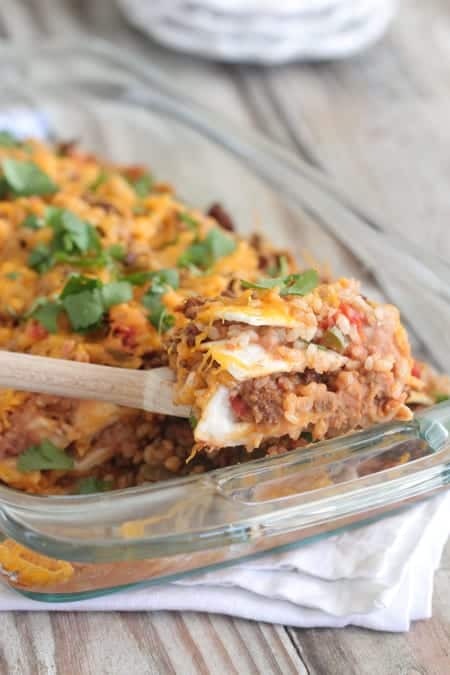 This Mexican Style Lasagna makes the perfect weeknight dinner for the whole family! 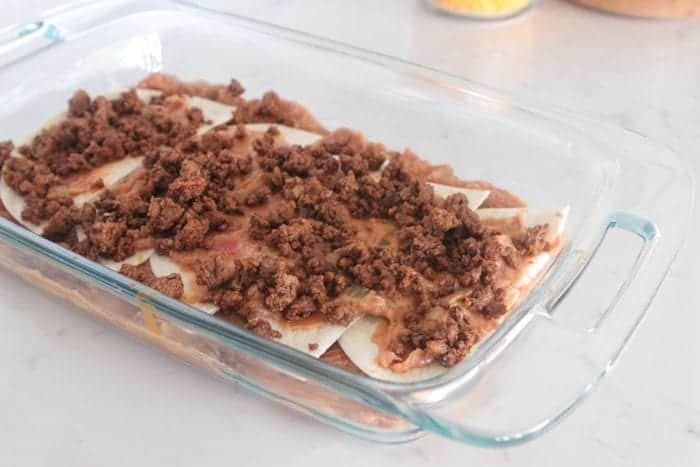 Flavor packed and simple lasagna recipe to prepare. 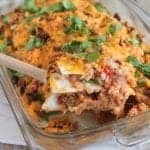 My Mexican Style Lasagna Recipe is such a perfect weeknight dinner! 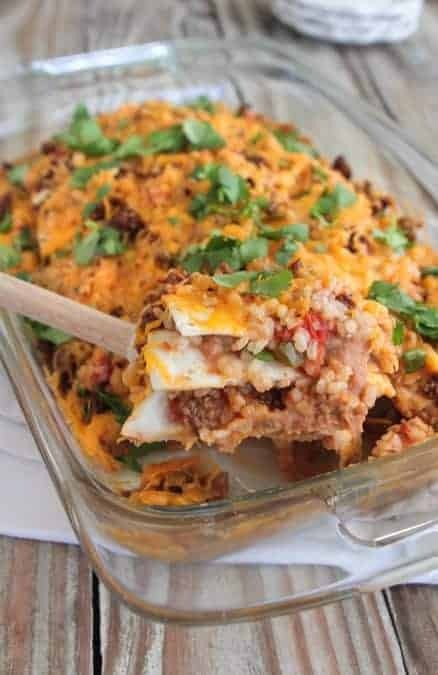 It’s always a pleasure partnering with Target and Old El Paso to bring you simple Mexican style dinner recipes! 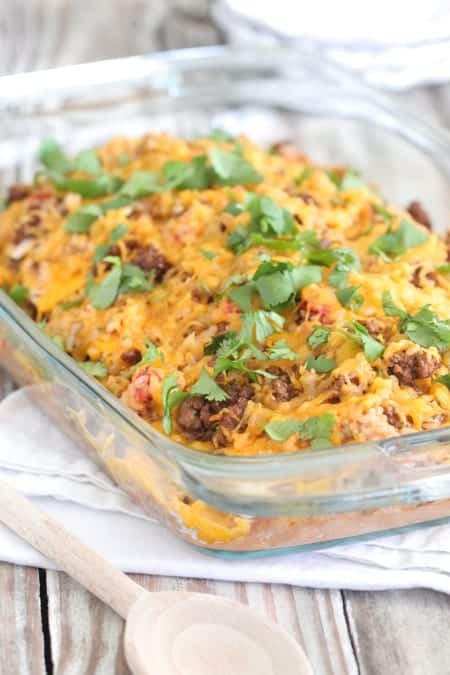 This quick fix dinner has all of my favorite ingredients and it really is a crowd pleaser. With just a few simple ingredients, you’ll have a gorgeous dinner ready in no time! Simple ingredients is all you’ll need to get started. 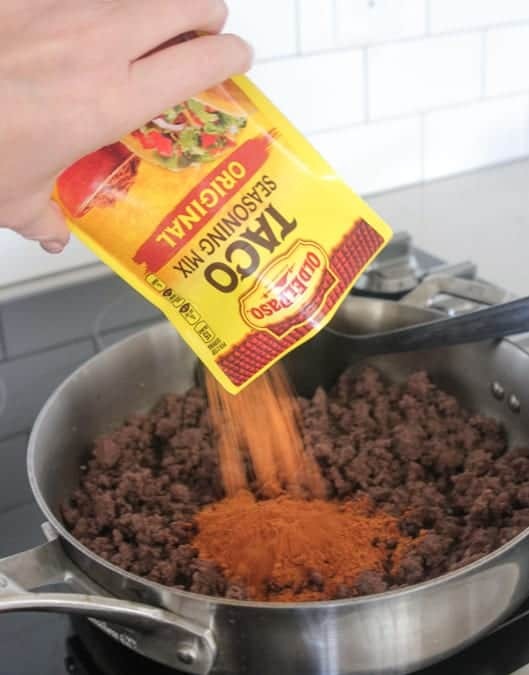 After you brown your meat, add your Old El Paso Original Taco Seasoning. Transfer to a large bowl and set aside for a few minutes. 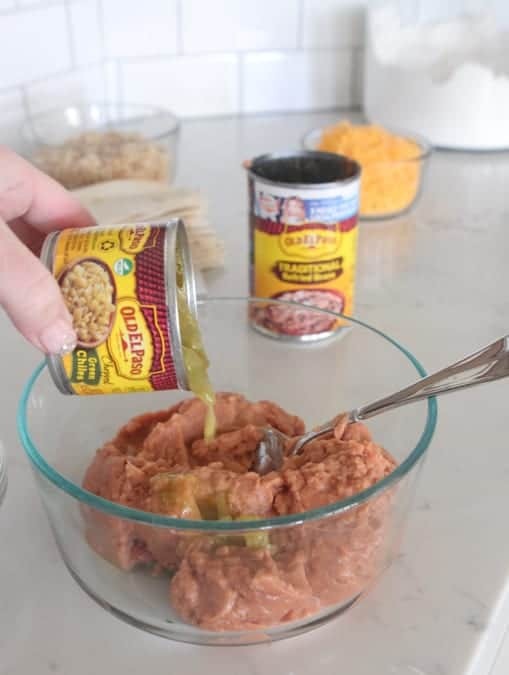 You’ll also add some Old El Paso diced green chilies to the Old El Paso Refried Beans. 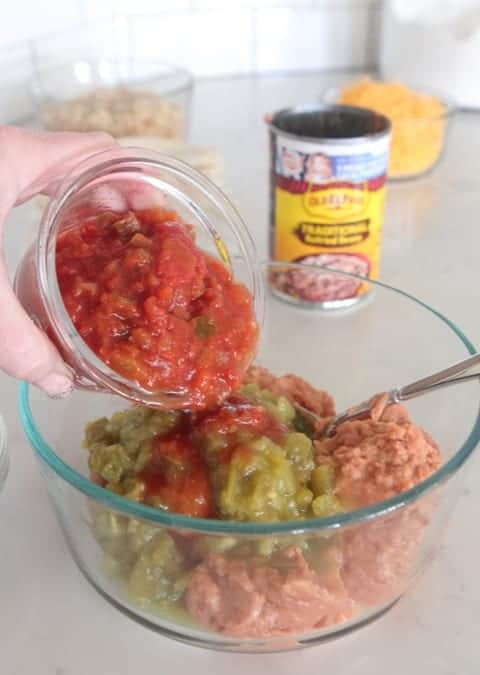 Add some mild salsa as well. 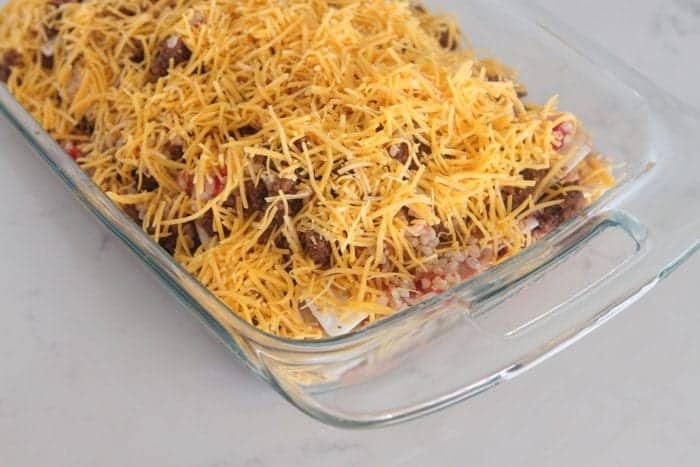 Spread a light layer of beans on the bottom of your baking dish. 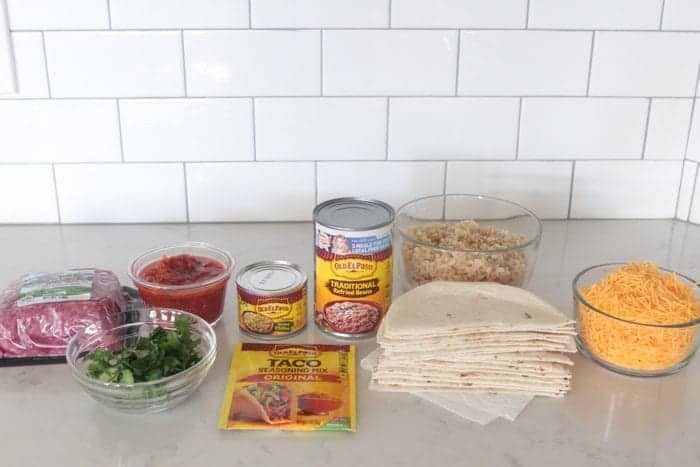 Start layering with some halved taco size tortillas. 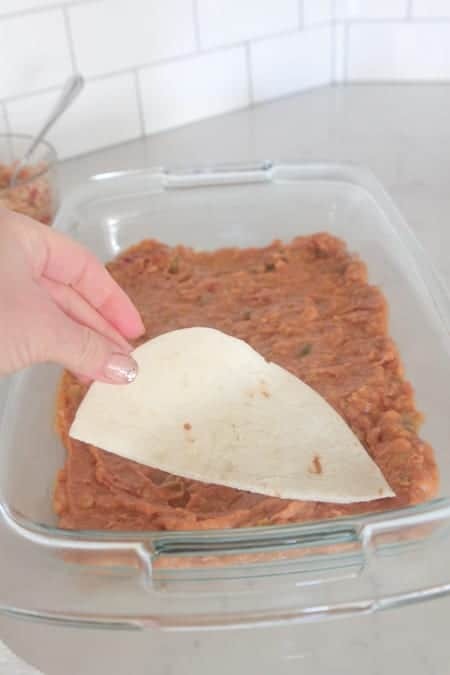 Spread another light layer of beans over tortillas. Top with your salsa rice. When layers are complete, top with shredded cheddar cheese. Bake at 350 degrees F. for 25-30 minutes. Look at those fabulous layers! Enjoy! Heat a large skillet over medium heat. Add ground beef to hot skillet. Cook and crumble until browned. 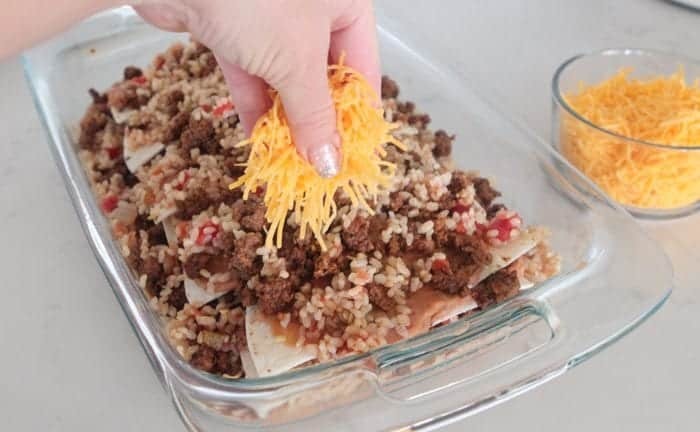 Stir in taco seasoning until well combined. Transfer to a large bowl. Place beans, green chilies and 3/4 cup salsa into a large bowl, stirring until well combined. Place rice and 3/4 cup salsa into large bowl, stirring until well combined. Top with chopped fresh cilantro and cut into squares and serve warm. 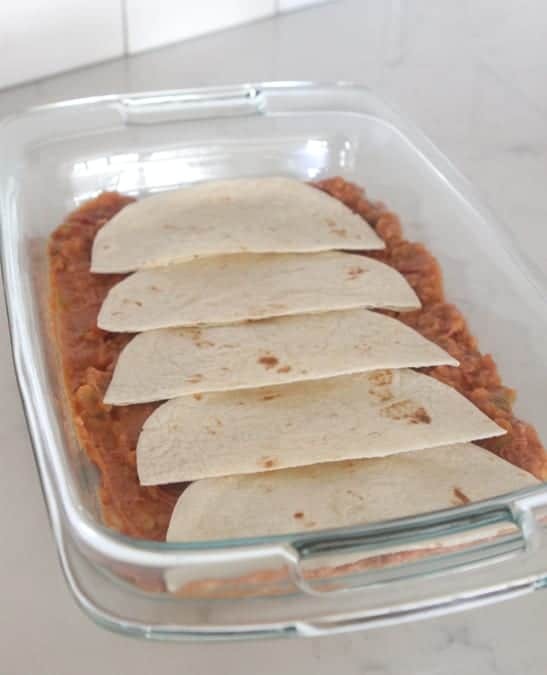 I find this to be a lot easier if you spread the beans onto the flour tortillas first then lay then into the 13 X 9 pan. They are more stable laying on a plate & spreading with beans then to lay them on top of more beans & try spreading. Just my thought. Thanks for recipe. Hi. Looks like a great dish. 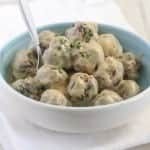 But in the printable recipe, several steps from the video are omitted. Just trying to be helpful. ? Hi and thanks for the tips. I have also found several where there was issues. Never did get answer on a tube biscuit that was all dough after the cook time was up plus did add more time even. I saw somebody else had same question and got no answer. Was the one where u seperate the biscuits and put cheese and butter between and bake it in loaf pan. I did not try it again cause of wasting money and food. Thanks again. 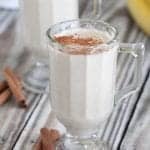 Here’s the whole recipe everyone!! 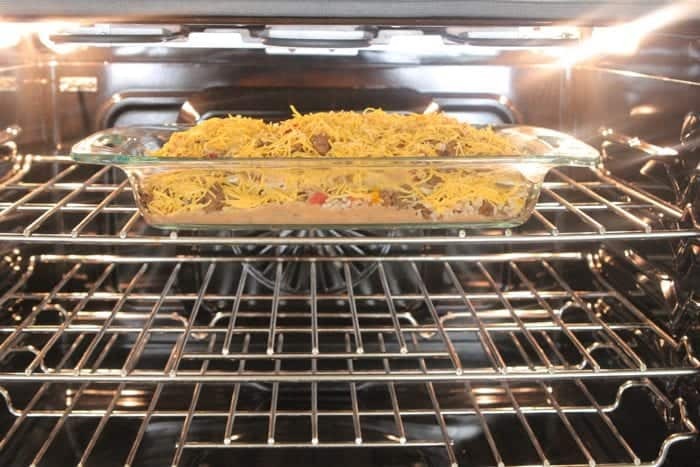 1.Preheat oven to 350 degrees F. and lightly spray a 9 x 13-inch baking dish with cooking spray. 2.Heat a large skillet over medium heat. 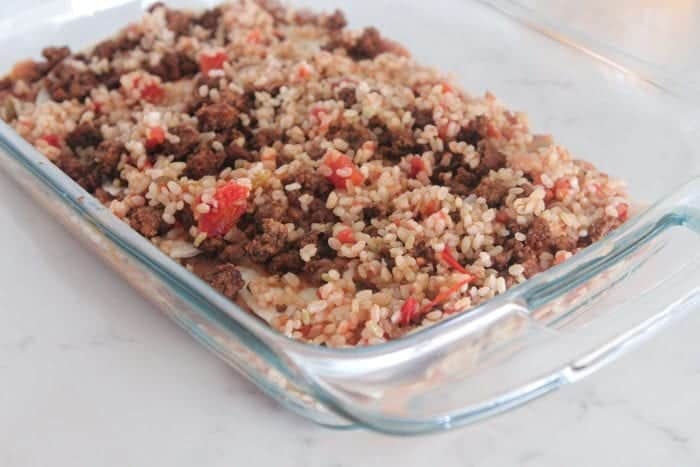 Add ground beef to hot skillet. Cook and crumble until browned. Stir in taco seasoning until well combined. Transfer to a large bowl. 3.Place beans, green chilies and 3/4 cup salsa into a large bowl, stirring until well combined. 4.Place rice and 3/4 cup salsa into large bowl, stirring until well combined. 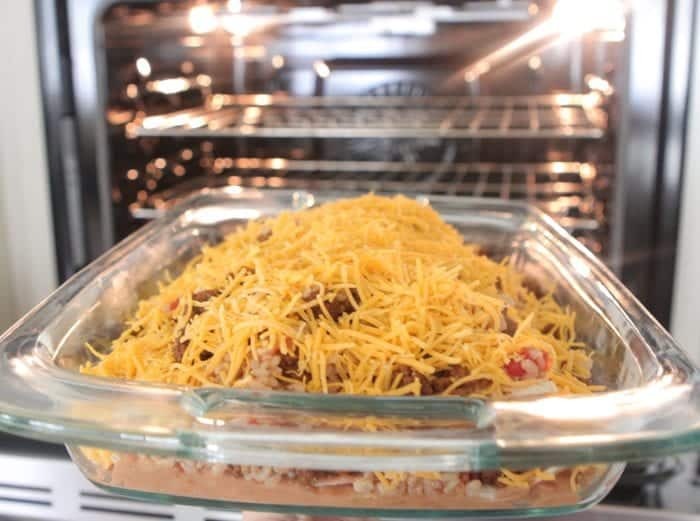 5.Spread a light layer of beans on the bottom of your baking dish. 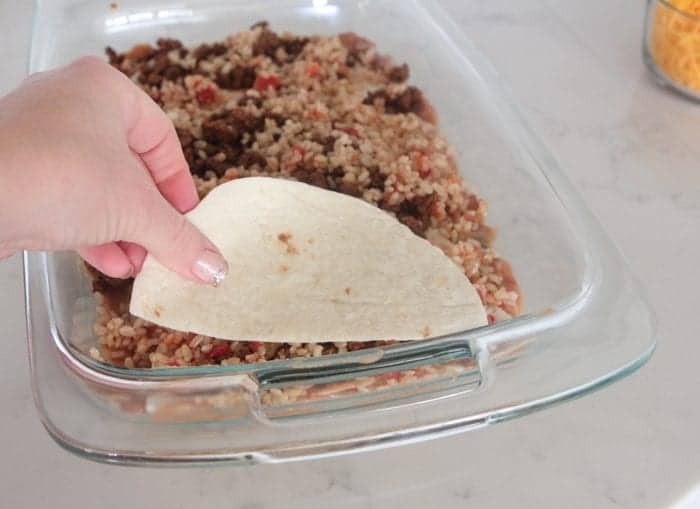 Start layering with some halved taco size tortillas. 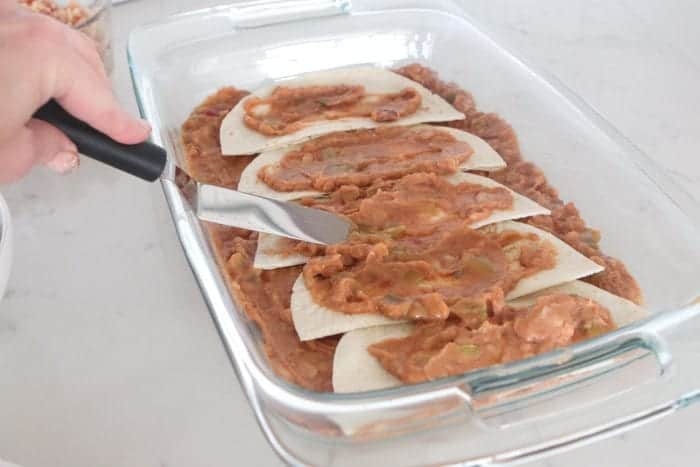 6.Spread another light layer of beans over tortillas. 8.Top with your salsa rice. 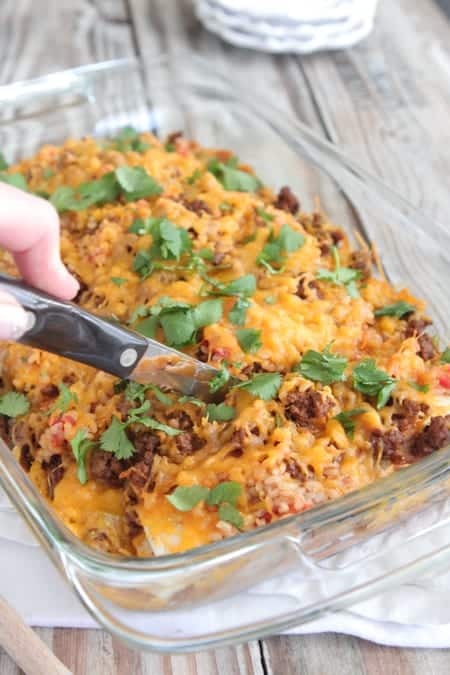 10.When layers are complete, top with shredded cheddar cheese. 11.Bake at 350 degrees F. for 25-30 minutes. 12.Top with chopped fresh cilantro before serving. Thank fo this amazing Post for free. Nice, Really Nice Post and Thanks For Sharing. Nice post……I am very like your website and all post. it is great and useful for us. I am gonna bookmark this page, thanks for this information. Keep up the great writing. In case you have any suggestions for oracle dba online training, please visit us. The printed recipe leaves out the entire layering steps. Great post, very informative. I learned a lot from your site. 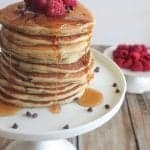 I enjoyed over read your article post. Thanks for sharing this wonderful post. And other information regarding to summer camp fremont at always possible here. I’m definately going to try this to night!